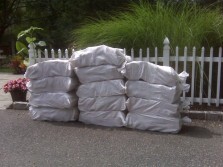 We deliver KILN DRIED firewood to Central & Western Suffolk County, Long Island. 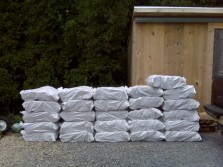 Your firewood will be delivered in bags & our deliveries arrive as scheduled. Our trucks are clean & reliable. Our drivers are friendly & knowledgable. - Delivery lead times range from 3 days (off peak) to 2 weeks (peak). -	Request 2 delivery dates during Check Out. within 48 hours of ordering. unless you require additional stacking services (optional). -	Our delivery trucks load in Riverehead. - Your ETA will depend on your location & # of stops before arriving. -	Driver will call in advance of arriving. - WE CANNOT SCHEDULE SPECIFIC TIMES. -	Bags weigh 50 to 60 lbs each. is available for an additional fee. -	Quantity ordered & delivery distance determine your delivery fee. -	The more you order, the more you save !